CBSE (Central Board of Secondary education) will conduct the CTET (Central Teacher Eligibility Test) Exam on 9th December in 92 cities across the country. The examination will be conducted in two phases, Paper 1 from 2:00 p.m to 4:30 p.m and Paper 2 from 9:30 a.m to 12:00 p.m.
To get a CTET certificate, a candidate has to score (>=60%) marks in respective paper. 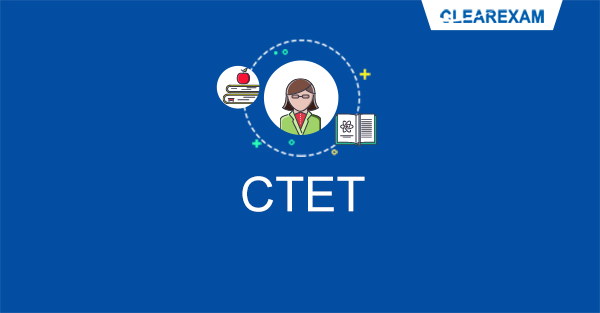 A CTET certified candidateis eligible to teach in Central Government schools. The validity of CTET Certificate is seven years from the date of issue. CBSE Board will release the admit card for CTET 2018 in the 2nd week of September, at its official website. In case you are unable to download the document or find errors in the information, contact the authorities before September 30. How to Download CTET 2018 Admit Card? Enter the required credentials i.e. Registration Number and Date of Birth. Candidate must cross-check the details of CTET Admit card before download. Candidate must ensure that the card is not folded or distorted. Candidate should carry one ID proof with admit card at the exam center. If a candidate is unable to provide valid CTET admit card then the entry will be strictly prohibited. In case a candidate finds any discrepancy in their admit card, then it must be immediately reported to the concerned authority. Every year a lot of candidates appeared in this reputed exam of having a dream to serve in central schools. So, no one should leave any chance of mistake before appearing in the exam. Here are some point listed below, that will help a candidate to get prepared before a day of the exam. ADMIT CARD: Never forget to keep admit card & photo ID at the exam center in any circumstance. A candidate must keep these things in box sleeping a night before. Candidate will not be allowed to sit in the exam without these two. No soft copy will be accepted for verification in the exam center. Revision: Revise only those topics a day before, for which you are 100% confident. Don’t revise entire syllabus before a day, otherwise, you will get confused. If any footnotes are prepared then revise them only. No New Topics & Be Positive: Always believe in yourself. don’t start a new topic before a day of the exam. it will give you stress only and it may affect the performance. Always focus on what you have learned, not what you have left. Meditate or spend time with the people to whom you want to be with. Revise for only 2-3 hours before a day of the exam. Rest of the day, do something, which you like to do and maintain a positive vision. Prohibited Items: you must carry only necessary items with you at the examination center. don't bring mobile phones, pagers, bluetooth or any other communication device inside the examination hall. It may lead to the disqualification of the Candidate. Exam Center: It is advisable to check the address of the examination center a night before to avoid any confusion. leave the house on time & better to reach the exam center an hour early rather than reaching late.